Today we bring to you the start of Duane ‘Shabba’ White’s new build which he has been working on for some time now. We knew this project was in the works but we had no idea the lengths to which he was planning to take it. Thus far no one has really had an in-depth look at this project, being the opportunists we are we decided to jump on this and get in contact with him; so you guys are getting a firsthand, behind-the-scenes look at this whole project from the start. This is one those all-time great builds out there, the reason we say this is simply because of the attention to detail involved, from the custom tunneling and redesigned firewall, to his one-off custom turbo set up. 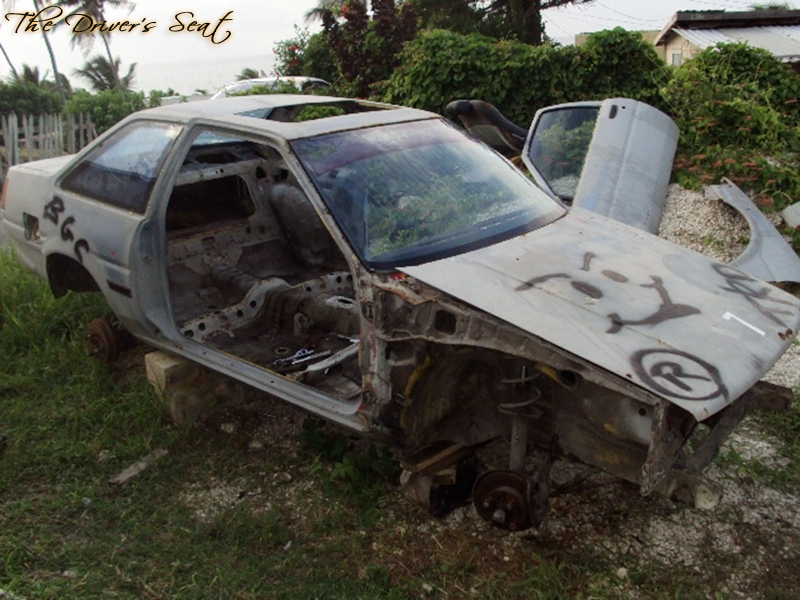 As you would have read from the title of this post, Shabba is building another AE86 coupe. Yes guys this isn’t his first one! So he is no stranger to the AE86 world. His last project was also a high quality build which was mainly a daily driver but the direction in which this one is headed, chances are it won’t see the likes of daily driving too often. 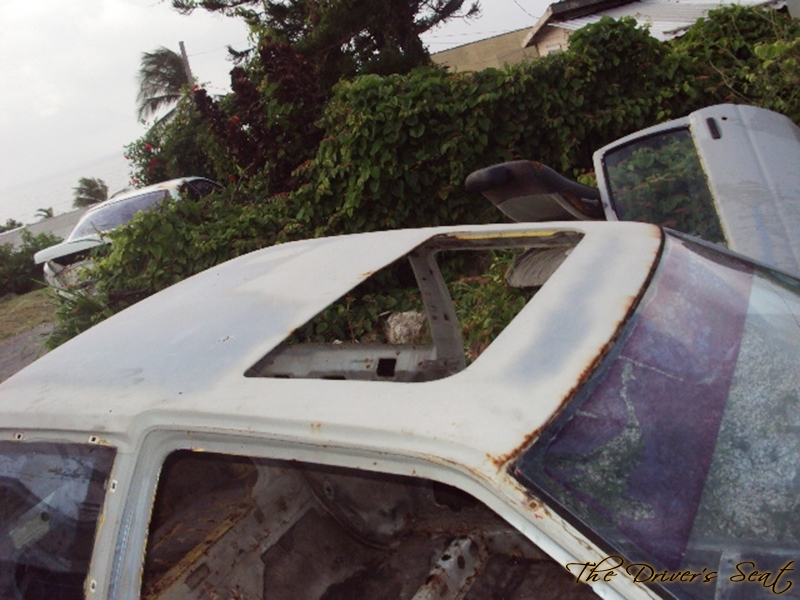 Being from Barbados, all the cars that come into our possession are right hand drive and this one is no different. 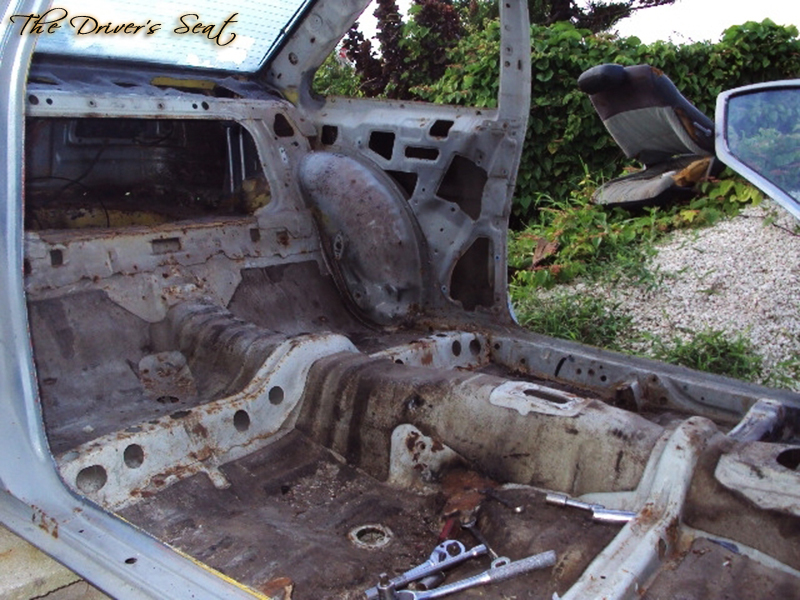 When Shabba first acquired the car it was definitely rough around the edges, it still had the original 4A motor and gearbox, stock everything else along with bits and pieces of the interior still intact and of course plenty rust, after all we are talking about a 25+ year old car. 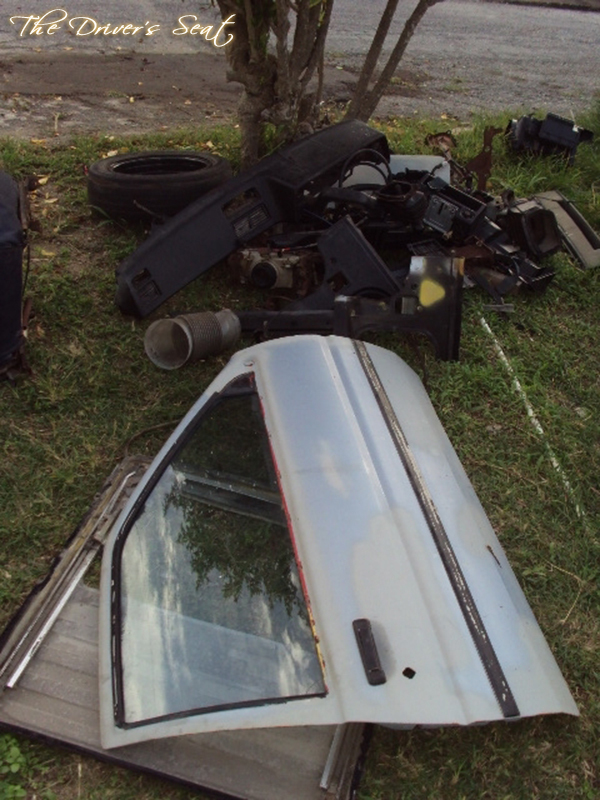 The photos that you will be seeing today are from after he acquired the car and was in the tear down process. Unfortunately we don’t have any shots of the car when he first got it. I will also show you guys some shots of his previous AE86 build which, by most standards, was pretty sick especially for a daily driver. 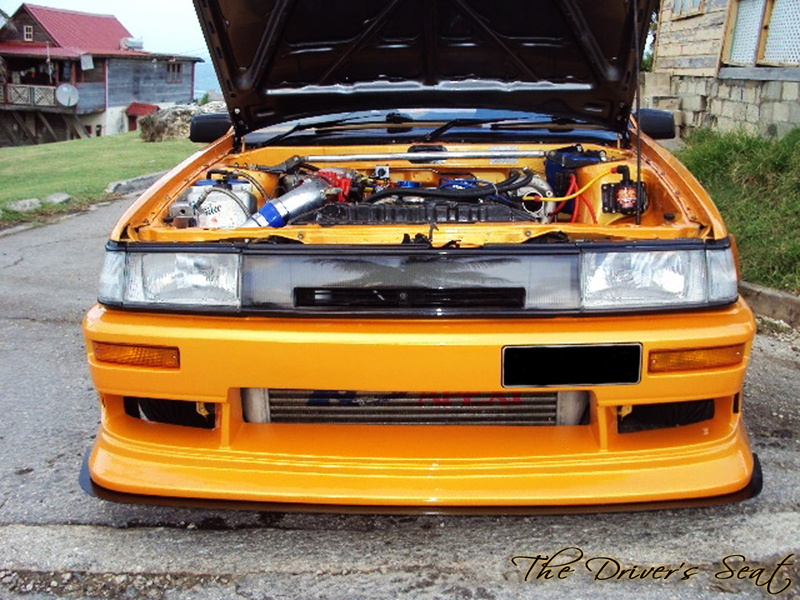 Close up shot of Shabba’s previously owned AE86. 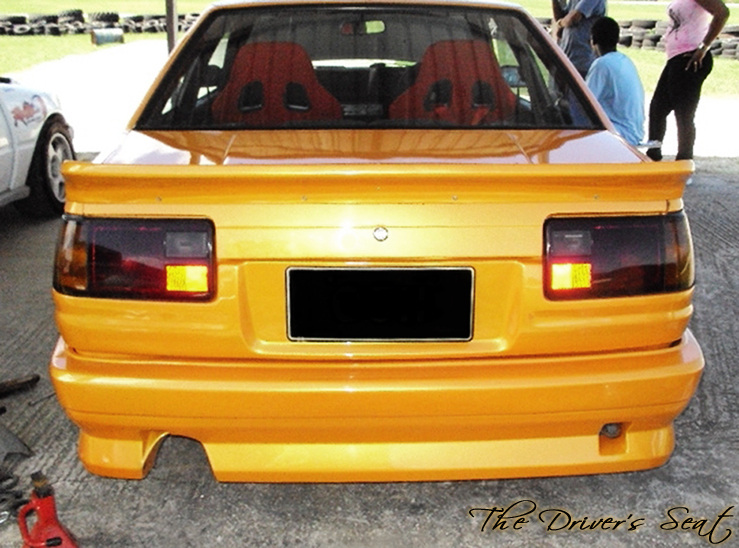 Just to give you some info on this car, he used a 4-AGE motor with a Garrett GT2871R turbo. We won’t reveal just yet what his new set up will be, but let’s just say it’s his previous set up was merely a mild one. Rear shot showing off the Origin Lab body kit and TRD spoiler at the Bushy Park racing circuit. Another shot from the pits at Bushy Park, where you get a better view of the engine bay and the side exit exhaust. As you can see this car wasn’t all about the go it had quite a bit of show to go along with it as well. Here is the first look at the donor car. This and the next few shots were taken during the strip down process as was mentioned above. 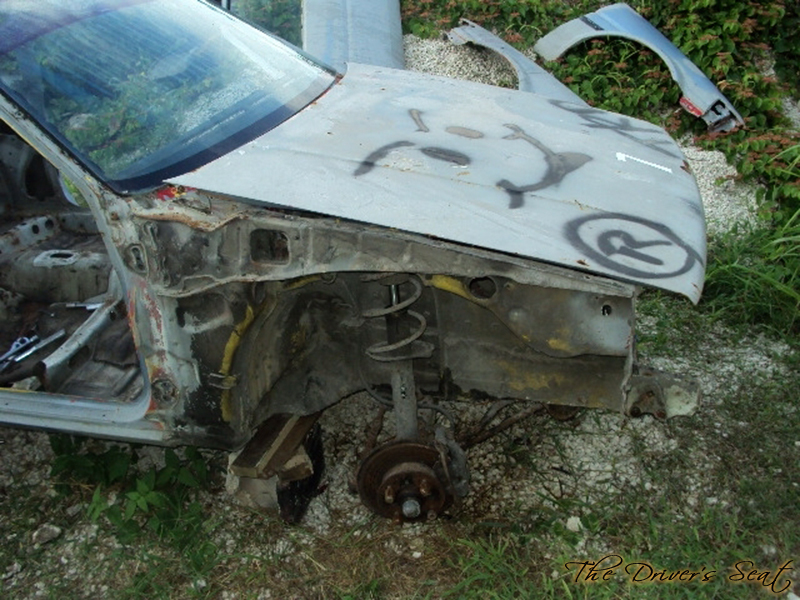 Close up of the front right side with a missing fender and smiley face hood, seems legit for an extra 10hp. This particular model came equipped with a sun roof and we’re sure whoever owned it in its prime probably had a lot of fun. The driver’s side door, the sun roof mechanism and the dashboard along with some other miscellaneous bits and pieces from the interior. 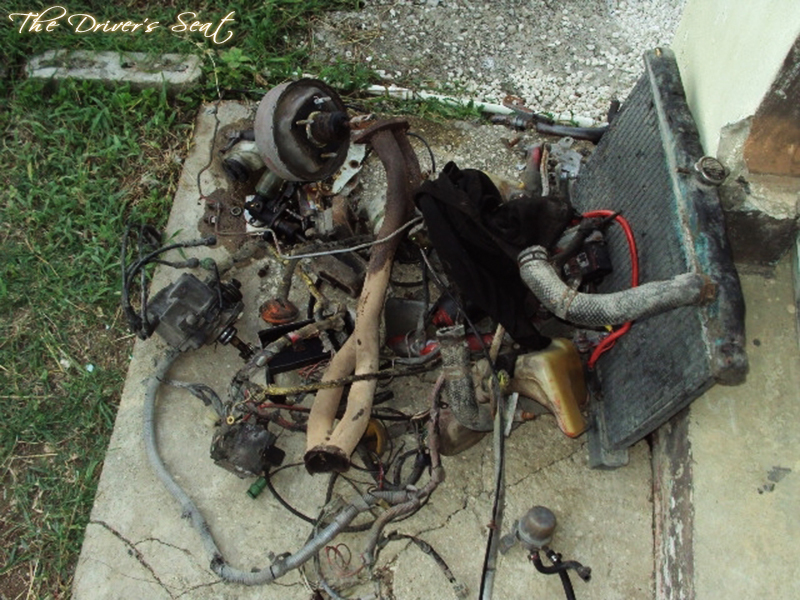 Wire harness, radiator, master cylinder and part of an exhaust manifold are just some of the many parts we can spot in this pile from the engine bay tear down. 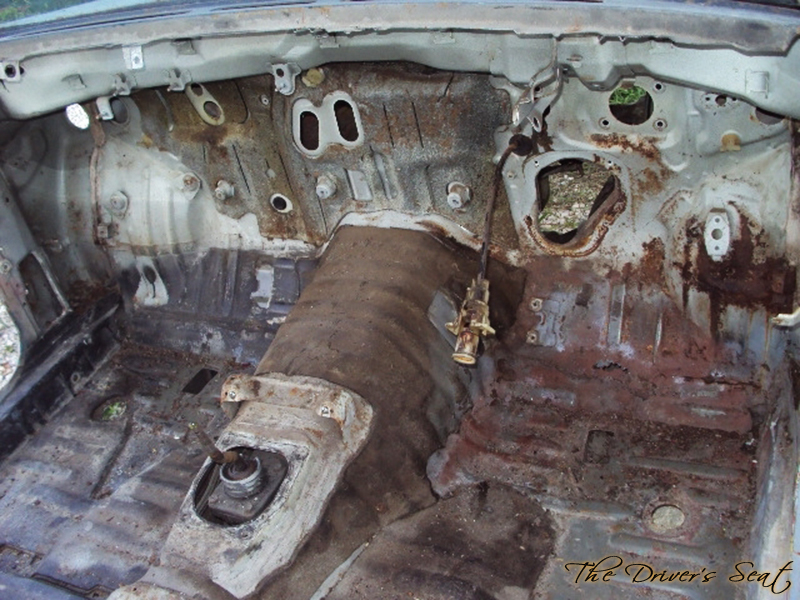 This shot was taken post removal of the interior in preparation for what can only be some serious body work. Interior shot looking to the rear of the car exposing some of the maturing features that go with a car of this age, also known as rust. 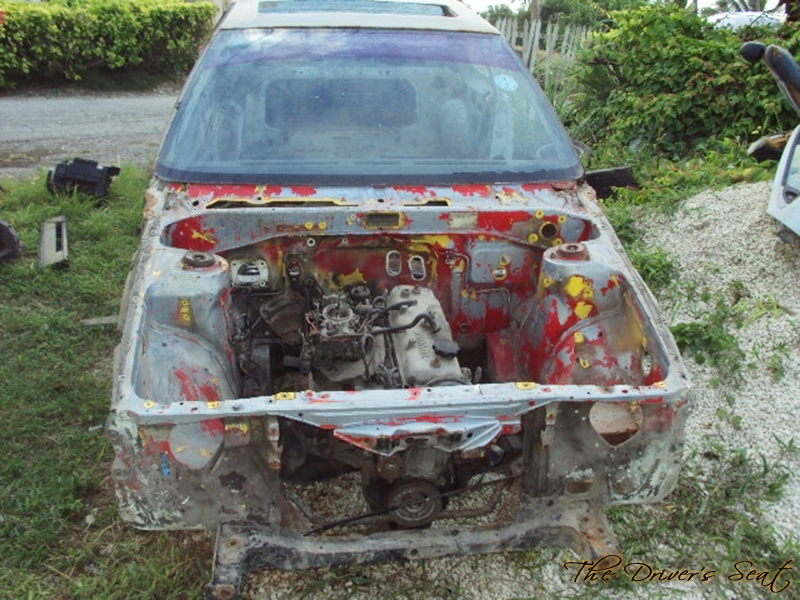 Front end shot showing a multi-coloured engine bay with the standard 4A engine and gearbox before its removal. 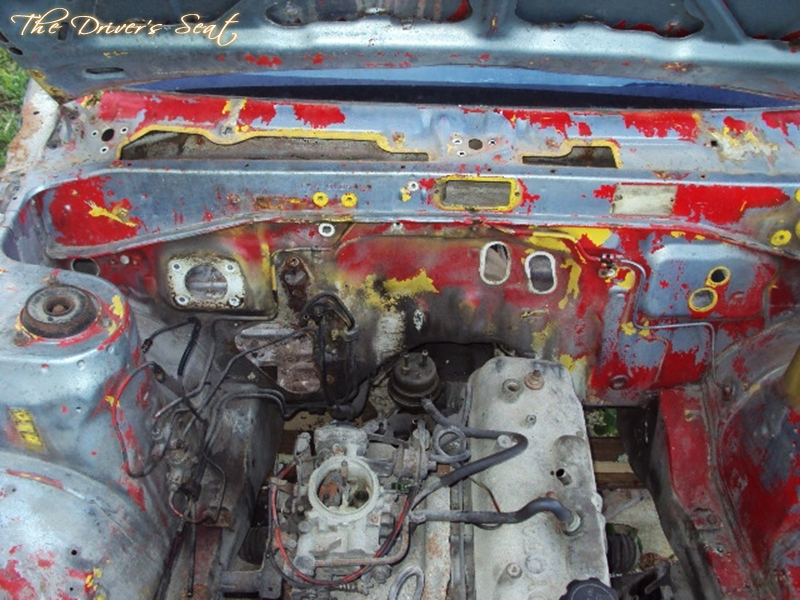 Close-up of the engine bay revealing the blue, red, yellow and white paint this car wore throughout its lifetime. Well that was a first glimpse of Shabba’s AE86 build and from the looks of these pictures he definitely has his work cut out for him. I hope you enjoyed the introduction of this beyond the grave build. Stay tuned for the next few installments in this series, where we will be taking you all the way, until the time he fires up this soon to be monster. You Sure Bet A Monster In Truth. It Will Be Trouble For Somebody. Nice write up. Looking forward to more of these. Nice write up so far! !